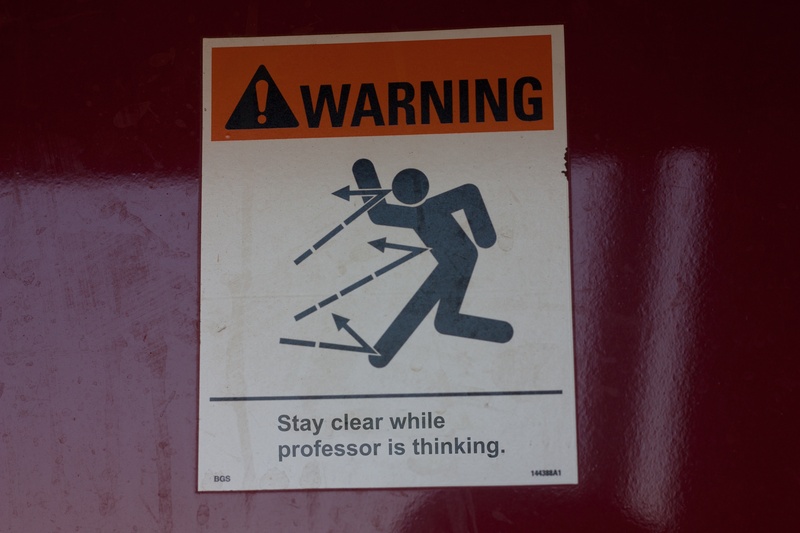 Warning: Stay clear while professor is thinking. Posted on 2016 December 19 by johnlaudun. This entry was posted in work. Bookmark the permalink.